Disco-Story : Mennyit keres egy DJ? A disc jockey-k jövedelme (munkalehetősége) alapvetően a társadalmi, gazdasági körülményektől függ. Tevékenységük szolgáltatásnak és művészetnek is tekinthető, így a piaci törvények (kereslet-kínálat) hatása torzítva jelentkezik. Ezért (is) van óriási szakadék (és ellentét) a populáris mainstream (EDM) és a színvonalasabbnak tartott "underground" között. A kérdésre tehát nem lehet általános választ adni (a mikor, hol, kinek ismerete nélkül); a DJ-k jövedelme rendkívül tág határok között mozog. Számít a szakmai tudás, rutin, népszerűség, ... de ha a munkáltatónak a spórolás fontos, akkor könnyen talál "alákínáló", olcsón, vagy ingyen fellépést vállaló "kollégát". A legtöbbet kereső DJk a világ leggazdagabbjai közé tartoznak, mások ingyen dolgoznak (play for free), sőt vannak, akik fizetnek a fellépési lehetőségért (pay to play). Most, novemberben "Pay The DJ" mozgalom indult -kétséges eredménnyel- a DJ-k (jobb) fizetéséért. A helyzet hazánkban is hasonlatos - csak kisebb volumenben. Általában egy előadó(művész) értékét -fellépti díját- alapvetően az ismertsége, népszerűsége, "eladhatósága" határozza meg. Ebből a szempontból mindegy, hogy zenészről, politikusról, vagy DJ-ről van szó. Bigger name performers, speakers, actors, and athletes have asking fees that are a minimum of $100,000.The biggest names in music, like Sting, Rihanna, Elton John, Paul McCartney, Taylor Swift, and Justin Timberlake, will always ask for over $750,000+ for a US event, and even more for an international event. These acts very often turn down offers from buyers they do not know, and will only book a tour with major promoters such.Speakers like Arnold Schwarzenegger, Bill Clinton, Tony Blair, and Richard Branson have a speaking fee of over $200,000. Speakers of this caliber generally require that a private jet be provided or paid for by the client. A Disc Jockey (DJ) earns an average wage of $29.80 per hour. Most people move on to other jobs if they have more than 20 years' experience in this career. DJs make an average of $150 for a four-hour party and $350 and up for a wedding, according to the American Disc Jockey Association. What is the Average Salary for a Disc Jockey? Salaries for professional disc jockeys will usually vary greatly, depending on their talents and locations. Typically, deejays living and working in larger metropolitan areas will make more money, for example. 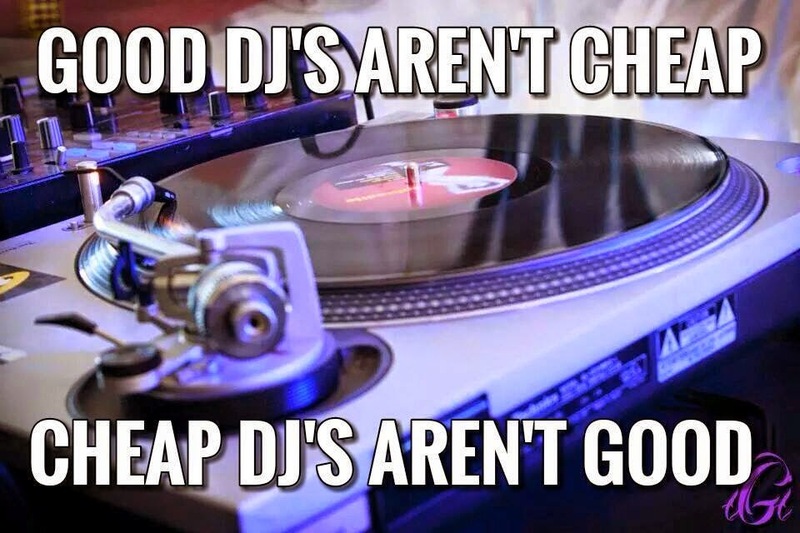 Disc jockeys are also usually paid hourly wages. According to the Bureau of Labor Statistics, the average hourly wage of radio announcers was $19.43 in 2008. Self-employed deejays, on the other hand, can make anywhere from $25 to a hundred dollars an hour. How Much Do DJs Get Paid? Mobile DJ – It all depends on your experience level. Beginners may start off as low as $100 per night, while more experienced DJs can charge as much as $500 per night. The more famous you are, the more you can charge for your services. A mobile DJ is can also charge more than a club or radio DJ since they have to bring their own equipment. Radio DJ – Per year, the starting salary for a radio DJ is $25,000. While experienced radio DJs can earn over $100,000 a year, the average salary is $38,000-$60,000. The exact amount will depend on the company, location, and additional job benefits. Club DJ – A famous club DJ like Tiesto or Armin Van Burren can easily make over $150,000 a year. With a little experience, a club DJ can charge up to $500 a session, and then move up to $1000 as their experience/fame increases. How Much Do Radio DJs Get Paid? Overall the average radio dj makes about $40,000 a year if they are of passable quality and have reasonably loyal fans that provide a good listener base. If you are just starting out you can expect to make in the lower $30,000 or even $20,000 range. If you are incredibly popular and have a good, strong fan following you may be able to make into the six figure range. Starting salaries for DJs is between £15,000 and £60,000 annually. In the UK, DJs on morning shows earn the most as this is the time when a large percentage of listeners are tuning in. DJs handling the afternoon and evening shows earn significantly less. Back in 1996, breakfast show DJs earn between £100,000 and £200,000. Mid-morning hosts earn around £60,000 to £80,000, afternoon hosts get £50,000 while evening hosts earn between £65,000 and £70,000. It gets lower during the late evenings onwards with salaries between £15,000 and £18,000. DJs working for small radio stations outside London earn lower salaries. This can be anywhere from between £17,000 and £120,000 annually. Another factor is the size of the radio station itself. Major radio stations can shell out larger sums of money to DJs that can bring in more listeners. For instance, regular DJs on Virgin arepaid between £90,000 and £150,000. Some of the biggest names on BBC earn between £115,000 and £1 million yearly. In 2006, Terry Wogan, the host of BBC’s early morning show, was said to earn £800,000 a year. At the time, the show had a total of almost 8 million listeners. In 2011, Chris Moyles extended his contract with BBC for an additional two and a half years for £1 million. What is the salary of a DJ? The average salary of a DJ in United States is $56,610. Salaries start from around $22,180 and go up to $101,840.